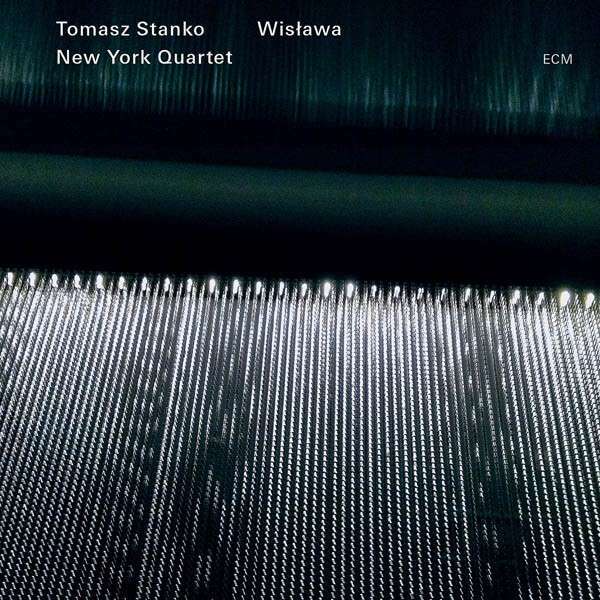 ‘Beautiful dirges, rubato soul-ache ballads with rumblings of free jazz’ is how Ben Ratliff of the New York Times describes the early work of Tomasz Stanko, before noting how the Polish trumpeter’s latest band – pianist David Virelles, bassist Thomas Morgan, drummer Gerald Cleaver – ‘allows [the music’s] balances to shift, [using] steady rhythms and vamps as well as free improvisation’, resulting in ‘both a collection of solos and a sequence of careful chapters’. Stanko now divides his time between Warsaw and New York, and his latest album is in many ways a musical embodiment of this migration between two worlds. It takes the poetry of the late (1996) Nobel laureate Wisława Szymborska as its inspirational starting point (Stanko provided trumpet improvisations at a 2009 reading of the poet’s work at the Krakow Opera), and is suitably infused with wry meditativeness and brooding melancholy (this, for instance, is how Symborska marked the turn of the millennium: ‘It was supposed to be better than the others, our 20th century / But it won’t have time to prove it. 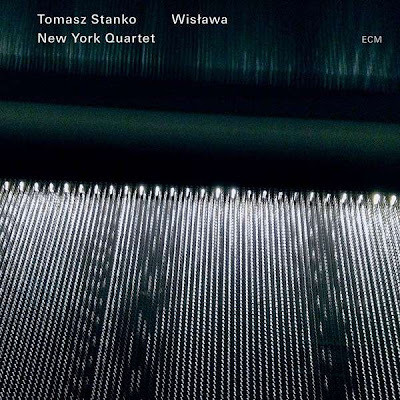 / Its years are numbered, / its step unsteady, / its breath short’), but the presence of the New Yorkers infuses Stanko’s music with a rustling, probing energy (particularly evident in Cleaver’s drumming, which, even when he’s employing whispering brushes under bass solos, never allows the band’s subtle but vital momentum to flag for a second) that perfectly complements the trumpeter’s dark, wistful, intensely human sound. The resulting two albums, containing over 90 minutes of quietly dramatic Stanko compositions ranging from the plaintive, woozily lyrical to the brisk and boppish, are at once uniquely affecting and compulsively listenable, and the overall band approach (perceptively termed ‘parlando’ – ‘advanced conversations taking place as the music continues to hurl forward’ – by producer Manfred Eicher) is definitive ECM.